Sit on your private balcony and watch the waves come in. Fishing from the Jetty right across the street. 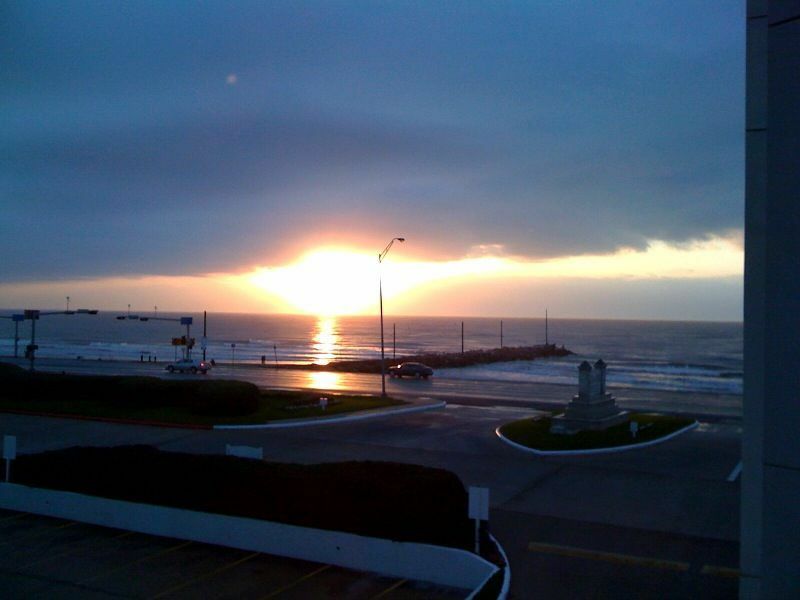 Galveston Condo Rental at Hotel prices! Pets are not allowed, No Smoking in the unit. Smoking is allowed on the balcony overlooking the Ocean. Free wireless internet. This unit and entire complex was recently remodeled and has fresh paint, tile floors and leather of the nicest units on property and an EXCELLENT location on the inside courtyard closest to the beach! Excellent rates and close to all that Galveston has to offer. Plus, NASA, IMAX, Moody Gardens, The Strand, Dog Racing, and much more. Visit the web site for complete details. Experienced property management. Experienced bi-lingual customer service. Excellent referrals and return visitors. This is my personal unit with one of the best locations on property. Come on down and enjoy the beach! Great place for a weekend getaway. Plenty of activities and close to Houston and all the entertainment offered by a major city. The unit is right on the Galveston Trolly route. For just $1 you can cruise the Seawall, to Moody Gardens, the Pleasure Pier, Galveston's historic district and to downtown and The Strand. Very convenient location across from the 61st street fishing pier and halfway between the new Pleasure Pier amusement park, Schlitterbahn and Moody Gardens. Walk to grocery, shopping, bike rentals and fish from the 61st street pier right across the street. Great sunrise view over the Gulf of Mexico. Sunrise view of the ocean and 61st street pier from your balcony. On 1st and 3rd floors. Towels provided are for the shower. Please bring your own beach towels. TV's in living room and bedroom. Close to the new Pleasure Pier, Schlitterbahn waterpark, Moody Gardens and a short drive to the Port of Houston (for cruisers). Walking distance to grocery and restaurants.